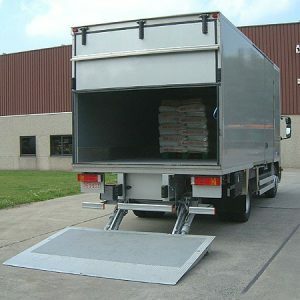 Your delivery will be made on a large vehicle with a tail lift and dropped to kerbside only. Flooring is heavy and as a result, the vehicle is large. We need to know in advance if special arrangements need to be made. If you have restricted access, a narrow lane or parking restrictions, it will avoid problems on the day, if we know. 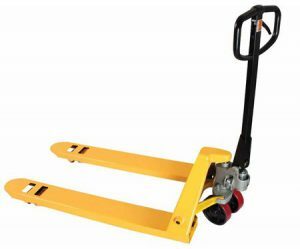 The pallet can be manoeuvred using a pallet jack and positioned as best as possible, but the pallet cannot be moved over bumps and humps including the kerb, and cannot be moved over gravel or a dirt driveway. The delivery company is contracted to deliver to the kerbside only and so you must make arrangements to unload and dispose of the pallet. Check the condition on delivery and if there are damages sign the paper work giving details. Please take photographic evidence immediately as any delay will negate your rights to a refund or replacement product. Be careful when handling the product. Marble and limestone tiles especially need to be handled with care. Make sure you already have made a clean area to store them. Never put the top surface edge directly on the ground. Try and place them on their back edge only, on top of some soft packing material such as polystyrene. The average order for stone flooring weights over a ton, so be prepared.